﻿Jon Colton Barry is the writer for many different animated shows, such as Be Cool Scooby-Doo and Phineas & Ferb. I want to thank Jon for taking time out of his extremely busy schedule to answer all my questions. It was a lot of fun reading his responses! I also want to thank him for answering so many questions for the Scooby fans over at the other forum that I am an admin for, the ScoobyAddicts forum. It is much appreciated! ScoobySnax.com: ﻿How did you get into animation writing? Jon Colton Barry: My old friend Dan Povenmire had seen a recent stage comedy I had written, which he liked. He had just sold “Phineas & Ferb” to Disney around that time. I was looking for work, so he offered me a writing job on the show. I had no plans to get into animation, but since I had a background in art, writing and music, “Phineas” ended up being a good fit. Jon Colton Barry: Every show, in fact, virtually every individual episode of every series, presents its own, unique creative challenges and that’s what I enjoy. I don’t have a favorite (yet). ﻿Jon Colton Barry: I am a fan of Scooby. It’s been on the air, in some form or another, for 45 years. I grew up watching reruns of the classic, original series the most. I've always kinda liked the first season episode "What the Hex Going On?" with the Ghost of Elias Kingston. It's a strange episode. Watching the original series as we were developing the new series made me see the odd choices the gang would make sometimes in the past. Sharon's Uncle Stuart has been suddenly turned into a decrepit, elderly man by a ghost and they decide to "watch" him overnight instead of rushing the poor guy to a hospital? Who knows how much damage is done to someone when they're magically aged 40 years? And exactly where did this guy learn such remarkable make-up skills that he could fool them even up close. I've never even seen a big Hollywood movie where "old age" make-up looks very convincing. Haha. ﻿Jon Colton Barry: ﻿Well, in general, the process is fairly typical for a scripted animated show: come up with an idea for an episode, write an outline, then a script, etc. It takes a few weeks. This is probably the most sit-com, character-driven Scooby Doo series yet and the main five Scooby gang characters are more fleshed-out, fully formed “people” than ever. For me, personally, the “process” is getting Fred, Daphne, Velma, Shaggy and Scooby up on the page and letting them start talking to each other. That’s the fun part – just trying to get out of the way and see what they say. ScoobySnax.com: Do you have a favorite episode that you've written of Be Cool Scooby-Doo? ScoobySnax.com: You've redesigned the whole gang for Be Cool Scooby-Doo. Do you have a favorite character in the show? Jon Colton Barry: I like them all for different reasons, but I think I like writing Daphne the most. She’s probably the most transformed of the main characters and getting into her eccentricities is fun. Jon Colton Barry: ﻿Thank you! I hope you enjoy it. Jon Colton Barry: Having completed the series now, I have a few favorites for different reasons. I really like “Party Like It’s 1899” as it was the second episode I wrote and having already done the work of establishing the new take on the characters and tone, I was able to stretch out and explore the characters even more. I loved the idea of the gang having to solve a pretend mystery and deal with the costumed roles they were forced to play. It was just a lot of fun and by the end of writing it; I really felt I knew who these people were. I also love “The People vs. Fred Jones.” I had wanted to do an episode like that for a while, but we kept getting push back from WB because they were concerned it would just be people talking in a courtroom. I knew that I would just be using the courtroom as a framing device and that the basic structure of the episode would be like any other in actual practice, which it was. That said, the courtroom stuff turned out to be my favorite because I feel like we found some fresh, funny courtroom jokes I’d never seen before (that were still rooted in character), which was rewarding. “Some Fred Time” is another favorite. Again, any episode that allowed me to explore the characters in new, unusual ways were always fun. The BCSD gang was built to be more dimensional and interact in interesting ways – so episodes that took advantage of that were always fun to write. ScoobySnax.com: Do you have a favorite character in Be Cool, Scooby-Doo? Jon Colton Barry: I remember my answer was Daphne to this originally, and I always loved writing her, but as the series progressed, I really started to enjoy writing Fred more. I mean, it’s amazing that the two characters that had the least personality for most of Scooby history turned out to be the most interesting and funny in BCSD (to me, at least). Fred just evolved in a really organic, fun way and I found myself centering him in stories more and more as we went along. He was full of contradictions and had a lot going on inside his head. He also had the most extremes to his personality, where he could be really full of silly, child-like wonder in “Fright of Hand” to emotionally torn to pieces in “Ghost In the Mystery Machine.” There was always so much to do with Fred and so many sides to explore. Jon Colton Barry: MST3K would still be great fun to write, but since then I’ve been developing some live action, more dramatic television shows with elements of science fiction and fantasy – which is just another huge love of mine having been part of the generation that grew up with “Star Wars” and Indiana Jones (as well as being a huge John Carpenter and Joss Whedon fan). It’s a great age for TV right now and I would love to write for a show like “Sherlock” or “Dr. Who.” The possibility to really get into character and story and strange ideas is very appealing. Then, afterwards, I’d immediately make fun of my own shows by writing MST3K episodes mocking them. ScoobySnax.com: What has been your favorite part of working on BCSD? Jon Colton Barry: It really remains creating and then working with this version of the gang. They became like family to me. Also, of course, working with Zac Moncrief is always pure pleasure, as well as others on the crew, like the original line producer, Wade Wisinski, who I became dear friends with. I learned so much making that show and it’s really helped me on all the new projects on which I’m currently working. On that note, I’d like to make special mention of our supervising producer, Michael Jelenic. I understand that the show, “Teen Titans Go,” he created with Aaron Horvath, is as divisive as it is successful (and, honestly, they relish the show’s polarizing effect and often impishly antagonize the naysayers by leaning into the very things for which the show is most criticized). Many of those who don’t care for TTG didn’t give BCSD a chance because, based on the new designs and Michael’s name being attached, assumed BCSD shared a similar tone and attitude with TTG – which it doesn’t. The truth is, while I’ve expressed frustration with the way WB handled BCSD, Michael Jelenic is an amazingly smart, versatile and talented writer, story editor and producer with a seemingly endless understanding of the entire creative process involved in making a show. While he and I did not always see eye to eye on everything, he truly understood and appreciated what Zac and I were attempting to do with the series and used his position to fight for our vision with what power and influence he had. Michael had my back more times than I can count and I learned so much about the nuts and bolts of being in charge of a show from him. I will always be a very different writer and story editor than Michael Jelenic, but I will never be a better one. Thanks, Michael. ScoobySnax.com: Do you have a favorite villain of the series? Jon Colton Barry: Professor Huh? was conceived VERY early in the development of the show. I knew he was Fred’s father before I even wrote the first episode. I loved the idea of a bad guy who committed inexplicable crimes. Also, although it’s just a gag, I loved the idea of “The Headless Minotaur.” It just makes me laugh. ScoobySnax.com: Did you have any ideas for an episode that you would have liked to have done, if the series had continued? Jon Colton Barry: WB actually let me get away with murder. They got and supported the character changes and comic tone of the show and I really appreciated that. We did some STRANGE things and rarely got pushback for being more sophisticated or writing gags that were clearly not aimed at 6 year olds. We started to stretch out and experiment more in second season and I would have liked to have done more episodes like “Scroogey Doo” where we insert the BCSD gang into classic horror/mystery literature and then destroy it. “Dracula,” “Frankenstein,” Dr. Jekyll and Mr. Hyde,” etc. – making those monsters turn out to be guys in masks and ruining these classic books seemed like a lot of fun. I also felt Velma became under-serviced as a character and I would have loved to had a chance to find more stories that would have allowed us to explore her. Working with Kate Micucci was ALWAYS a pleasure and she did an amazing job stepping into the role and making it her own. ScoobySnax.com: If you could pick one joke from the entire series as the best one, what would you pick? ScoobySnax.com: You've mentioned before that a lot of the characters are somewhat like your own personality. Can you elaborate on this a bit? Did you write the characters with that in mind? Jon Colton Barry: Well, yeah, I guess I just mentioned Daphne’s line about “nature,” That’s pretty much how I view it, myself, so I relate. Daphne, more than any other character, really voiced my own point of view about the world, including the horrible, cruel manipulation of bribing your friends to endanger themselves with Scooby Snacks. Throughout the series, all the characters voice certain opinions and make commentary about what’s going on that are very much my own opinions on things. I hope the characters were created and evolved in such a way that everyone can relate to certain aspects of all of them and how they view the world or specific situations – though it was all filtered through my sensibility. Tom Konkle wrote several Be Cool, Scooby-Doo! episodes along with Jon Colton Barry, which include "Area 51 Adjacent" from the first season, as well as "Mysteries on the Disorient Express," "Scroogey Doo" and "Doo Not Disturb" from season 2. I personally thought all of these episodes, particularly "Doo Not Disturb" (which is my favorite of the show), were brilliantly written and Tom did a terrific job with all the episodes he wrote. In addition to being a writer, Tom also was a voice actor for one episode of the series, in "Giant Problems." He voiced both the Leprechaun and the Irish Guy in that episode. Throughout the interview, I ask Tom about his experience writing for Be Cool, Scooby-Doo! and how he became the talented writer and director he is today. ScoobySnax.com: How did you get into writing? I did a lot of scriptwriting starting in college because I wanted to learn to create the blueprint for some of the short films and sketch comedy I wanted to do then. I enjoyed getting someone else’s script and learning what made their writing work. Seeing successful and unsuccessful writing is the best teacher in that you learn first hand what is done to make the characters work, dialogue, formatting the script and story structure. I started getting paid to write in the early 90s and I think sometimes I wrote a lot to protect things I knew I’d be performing too. I would write material that I would perform particularly when I was doing sketch comedy much like John Cleese is said to do I found out later I was doing that like the Pythons. I would write my own material and perform it to protect how that it got executed. In that way I had a vision writing it I could execute. Also, like many film directors who also write like Christopher Nolan, I think in a very cinematic style as I am creating a script. I respect the written word and the structure as this is the blueprint for the work. I really applied this provider in my film noir feature Trouble Is My Business. ScoobySnax.com: Before you began writing Be Cool Scooby-Doo, were you a fan of Scooby-Doo? Tom Konkle: I remember watching some of the episodes as a kid it must’ve been towards the tail end of the original series into whatever ‘70s interaction was running and I enjoyed a lot of them. ScoobySnax.com: How did you get involved with writing Be Cool, Scooby-Doo!? Tom Konkle: My dear friend Jon Colton Barry was a fan of both my writing and performing particularly my sketch work, but he knew I also valued story structure and I knew what it was like to do voice acting for cartoons. Animation is dialogue driven with “anything you can draw” visuals so he invited me to start collaborating on season one and season two of Be Cool Scooby Doo. We really wanted to create a writers room together where we could cross pollinate ideas and make each other laugh and be inspired. Tom Konkle: First, I start with a bunch of big ideas for the overall arc of the episode story. We would talk about how the characters needed to act to be consistent, and what character development was needing to happen. There was always “breaking the story," which is basically being able to pitch it clearly enough that you get the go ahead to write a draft of it. So coming up with the story beats and then secondary “B” stories underneath it and character development was first. I really work with dialogue and basically play all the characters in my head, or out loud if I get giggling and smiling, or liking where it’s going, and getting excited to perform the script out loud to see how it flows so I can see it in my head. I was always about writing from one big, hopefully intriguing or fun, idea and working backwards from that. ScoobySnax.com: You've written several episodes of Be Cool, Scooby-Doo!, including "Area 51 Adjacent," "Mysteries on the Disorient Express," "Scroogey Doo" and "Doo Not Disturb." Which one of those was your favorite episode to write, and why? Tom Konkle: I think it’s a tie between Area 51, Adjacent and Mysteries On The Disorient Express. For very different reasons I think they’re both interesting high concepts but had the most fun coming up with character stuff in Area 51, Adjacent and I think I had the most fun coming up with topping ideas conceptually in Murder on the Disorient Express I also like the execution of them both. ScoobySnax.com: From a writing perspective, do you have a favorite character to write for? Tom Konkle: Definitely, Fred was a favorite because he was often the fool for the absurd. But Daphne had the widest arc of character possibility and had agency in the plots of the episodes. I also loved writing the villains. ScoobySnax.com: Was it challenging to write for such an iconic show like Scooby-Doo, that's been loved by many generations of fans? Tom Konkle: It was a challenge to honor it as it need be, while pushing it to be different but...just different enough that we don’t aggravate original fans of the series by doing something so out of canon that it takes them out of the episode. We wanted to reinvent and respect. That was the real challenge in that we made the show we wanted to see, with a lot of people looking over our shoulders. ScoobySnax.com: If you could work on any show or movie in the world, what would it be? Tom Konkle: Current shows? Archer. Movies? I have a lot of ideas for science fiction, adventure and film noir movies. I just wrote and directed a movie out now that is a 1940s film noir called Trouble Is My Business. 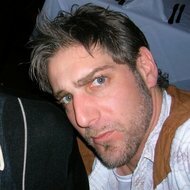 ScoobySnax.com: You were both a writer and a voice actor in Be Cool, Scooby-Doo!. Did you enjoy writing or voice acting more, and why? Tom Konkle: It’s different parts of the brain. I love writing. I do act out my scripts as I’m writing to get dialogue right but writing is solitary and not about performance. I love voice acting. I’ve been a voice actor for 25 years. I love executing characters, creating voices and the idea of entertaining an audience with my voice work too. ScoobySnax.com: What was the most rewarding part of writing for Be Cool, Scooby-Doo!? Tom Konkle: Laughing in the room with Jon, then seeing the episode come together and enjoying all the parts from animation, music, performance and the director working to get us back to what we loved in the script, and improve upon it as well. ScoobySnax.com: Now that Be Cool, Scooby-Doo! has ended, what project(s) are you working on now? ScoobySnax.com: Thanks so much again for taking the time to do this! You can follow along with Tom's writing adventures on Twitter. You can also check out Tom's movie production company, Lumen Actus, at http://www.lumenactus.com!